Entrance to Firebase Vegas, Korengal Valley, Afghanistan. In the world of war, weapons and technology are ever changing, each war is characterized by the weapons and tactics used to fight it. As new environments and enemies are encountered, the parties to those wars develop new - more effective tactics, technologies, and weapons to counter and defeat their adversaries. The ingenuity seen in war has existed since (and most certainly before) the first wars of recorded history and continue to this very day. Keeping with that theory, let’s take a look at the weapons that have characterized the wars and conflicts that the United States has been a party to over the course of it’s history. During the course of this series, I aim to breakdown the weapons used in each conflict by their classification, and to which party they were employed by. 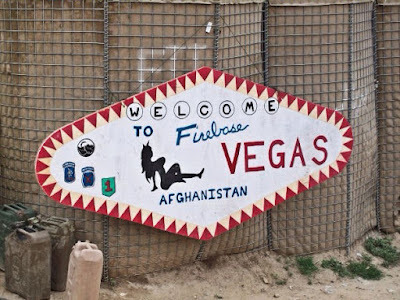 Having served in combat operations in Afghanistan’s Korengal Valley, I would like to start our series with the War in Afghanistan. For our ninth installment let's take a look at the most common edged weapons of the war in Afghanistan. 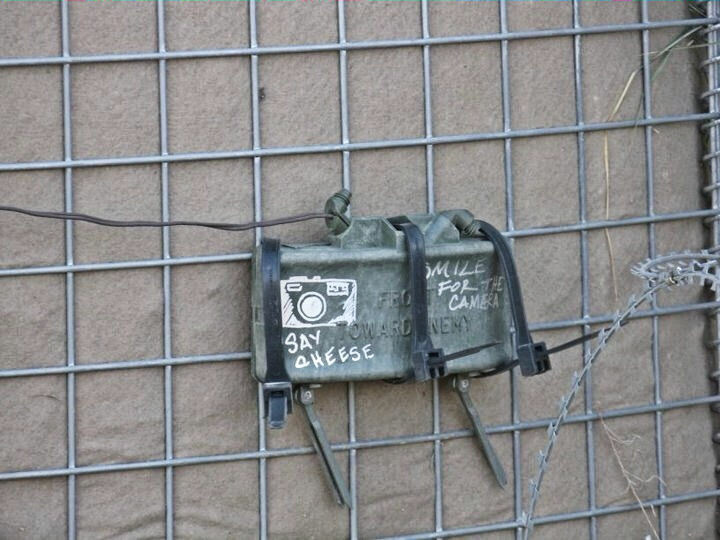 Claymore Mine at entrance of Firebase Vegas. The M9 Bayonet is a multi-purpose knife and bayonet officially adopted in 1986 by the United States. It has a 7-inch blade and is issued with a sheath designed to double as a wire cutter. After the Phrobis III bayonet contract was completed, rights to the M9 reverted to the United States Army and there were many subsequent versions from other companies. It is issued by the armed forces of the U.S. and other countries, and has also been sold commercially in various versions. Some production runs of the M9 have a fuller and some do not, depending upon which contractor manufactured that batch and what the military specs were at the time. 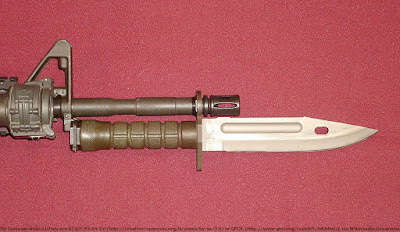 The M9 Bayonet partially replaced the older M7 Bayonet, introduced in 1964. Although it has been claimed that the M9 may be more prone to breakage than the older M7, the M9 bayonet has a 20% thicker blade and tang (0.235" vs. 0.195") and a 75% greater cross-sectional area of steel in the blade than the M7. Manufacturer: Phrobis, Buck Knives, LanCay, and Ontario. 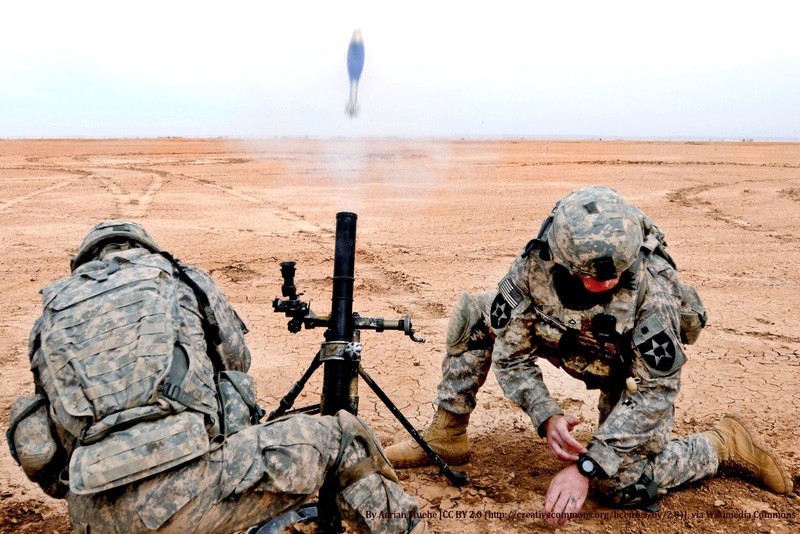 The M11, or M11 EOD is a version of the M9 specialized for explosive ordnance disposal (EOD). It has some extra features, such as a hammer pommel, but uses the same blade and sheath as the M9. The OKC-3S is a bayonet developed by the United States Marine Corps to replace the M7 bayonet as its service bayonet for the M16 family of rifles. This multipurpose bayonet provides greater durability than the M7 and also functions as a fighting knife. The OKC-3S is manufactured solely by the Ontario Knife Company and identical civilian versions are available for purchase. It bears a resemblance to the Marines' iconic Ka-Bar fighting knife, though it is not fullered. It is larger, thicker and heavier than the M7 although slightly thinner and lighter than the current U.S. Army-issued M9. The OKC-3S features an 8 in (20.32 cm) long, 1.375 in (3.49 cm) wide, .2 in (0.51 cm) thick blade. The serrations measure 1.75 in (4.4 cm) of the blade length on the true edge. The blade is made from high carbon steel rated at HRC 53-58 and is capable of functioning without breakage in operating temperatures of −25 to 135 °F (−32 to 57 °C). The blade also has a non-reflective phosphate finish. Ka-Bar is the contemporary popular name for the combat knife first adopted by the United States Marine Corps in November 1942 as the 1219C2 combat knife (later designated the USMC Mark 2 combat knife or Knife, Fighting Utility), and subsequently adopted by the United States Navy as the U.S. Navy utility knife, Mark 2. The Marine Corps issued USMC Mark 2 combat/fighting utility knife throughout Marine forces, with early deliveries going primarily to elite formations. In late 1943 the 1219C2 replaced the Marine Raider Stiletto in service, a change welcomed by the marines of Col. Edson's 1st Raider Battalion, who found the Raider stiletto ideal for silent killing but of little use for anything else. As the knife went into large-scale production, the Marines issued the Mark 2 Combat/Fighting Utility knife to reconnaissance and engineering units and to any Marine armed with the pistol, M1 carbine, BAR, or crew-served machine gun (rifle-armed Marines were typically issued a bayonet). Marines were often issued knives with "U.S.N. Mark 2" markings when Navy-issued Mark 2 knives were all that was available. By 1944 the USMC Mark 2 Combat/Fighting Utility knife was issued to virtually any Marine in the combat branches who desired one, and was in use by Marine Corps close combat instructors for training new recruits. Unlike the prior Marine Raider stiletto, Marines were taught to use their new knife primarily as a slashing weapon in the initial phases of hand-to-hand combat. As its new name implied, the "Knife, Fighting Utility" was designed from the outset as a dual-purpose knife: it was both an effective combat knife and a utility tool, well-suited to the type of jungle warfare encountered by Marines in the Pacific theater. This dual-purpose design resulted in some initial criticism of the pattern as being less than ideal for knife fighting, but combat experience of returning veterans as well as reports from the battlefield soon dispelled any doubts about its combat effectiveness. After the Second World War, the U.S. Navy and Marine Corps continued to use the Mark 2 Combat/Fighting Utility knife. In addition to military contract knives, the knife was produced for the civilian market, and the pattern enjoyed some popularity as a general-purpose hunting and utility knife. Manufacturer: Camillus Cutlery Co., Union Cutlery Co. (Now KA-BAR Cutlery Inc.), Pal Cutlery Co., Robeson (ShurEdge) Cutlery Co.
More often then not the knives that US Military personnel will have on them are personally bought knives of various manufacture and design. 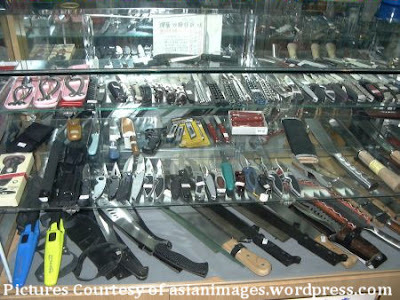 Some of these may be the equivalent of standard issue knives/bayonets that the individual's unit did not issue; while many maybe knives of higher quality and design than those issued. 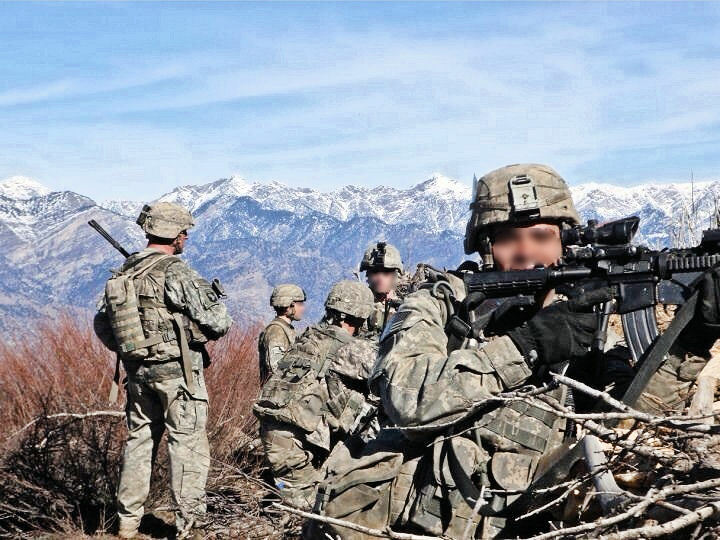 Infantry conducting operations on top of the Abbas Ghar, Korengal Valley, Afghanistan. 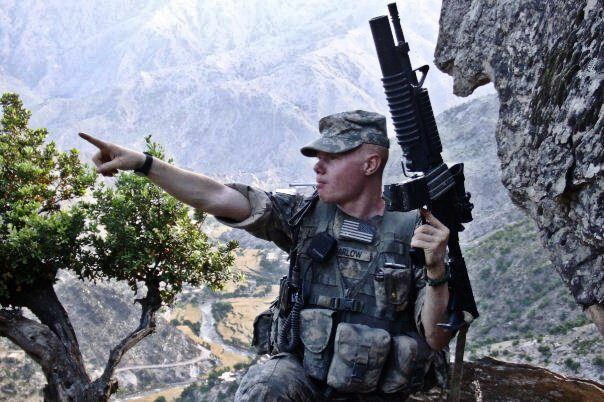 Shawn G in the Korengal Valley, Kunar Province, Afghanistan. 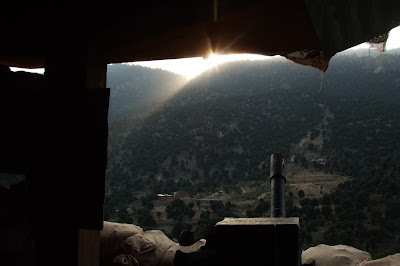 Sun rising over the mountain over Firebase Vegas, Korengal Valley, Afghanistan. 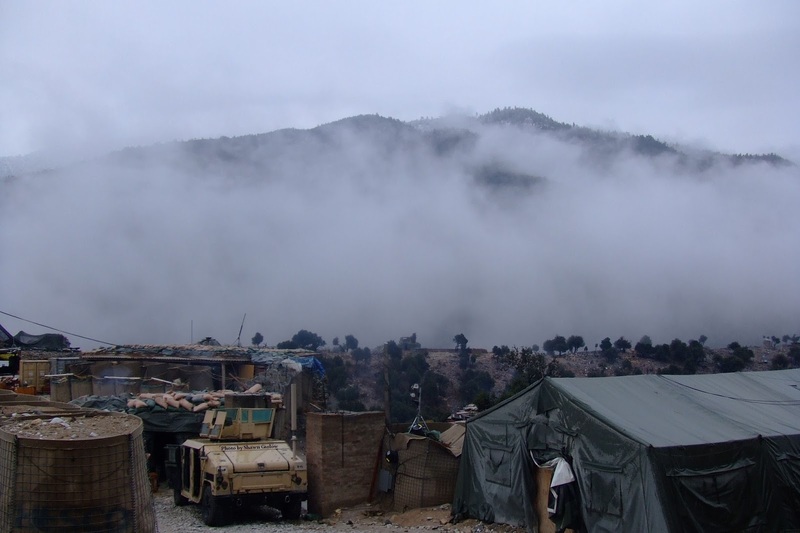 For our eighth installment, let’s take a look at the most commonly encountered mortar systems in the War in Afghanistan. 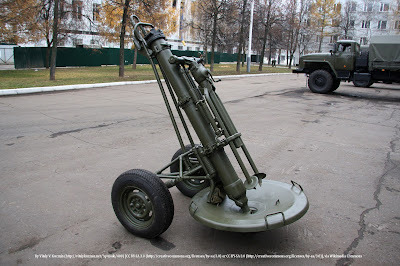 The M-37 or 82-BM-37 is a Soviet 82mm caliber mortar designed by B.I. Szayrin and accepted into service in 1937. The design of the M-37 is based on the earlier French Brandt mle 27/31 mortar with Russian modifications. The M-37M is an improved version with lighter base plate and a device to prevent double loading. 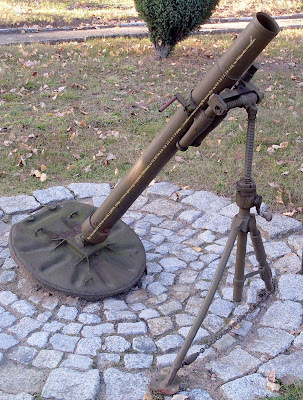 The 82-PM-41, or the 82mm mortar Model 1941, was a Soviet 82mm mortar developed during the Second World War as an infantry battalion mortar, and which begun production in 1941. It differed from the Model 1937 by the presence of a removable wheel base, by the arched construction base plate (as in 107mm and 120mm mortars), and also a different two-legged construction. Wheels were slipped over the semi-axis of the bipod feet and removed during firing. Design improvements were made to reduce weight and production cost, and improve maneuverability. The ballistic data of the Model 1941 mortar were comparable to the Model 1937. 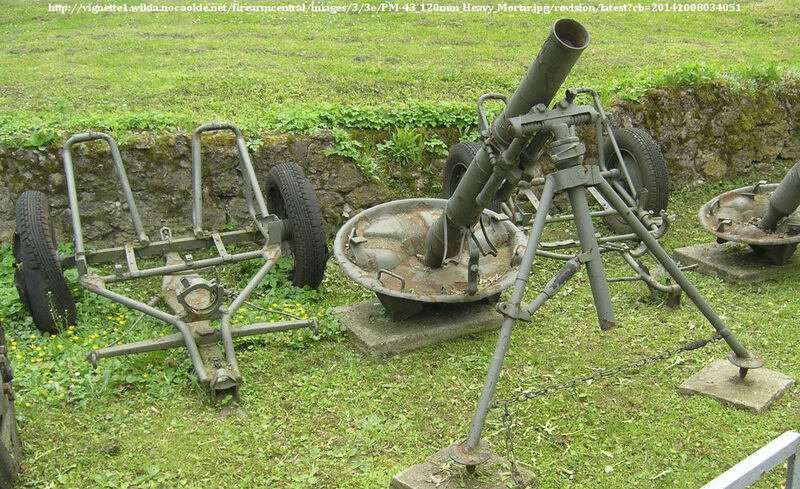 The 82mm mortar Model 1941 was more convenient to transport than the Model 1937, but was less steady during firing and had a worse center of gravity. 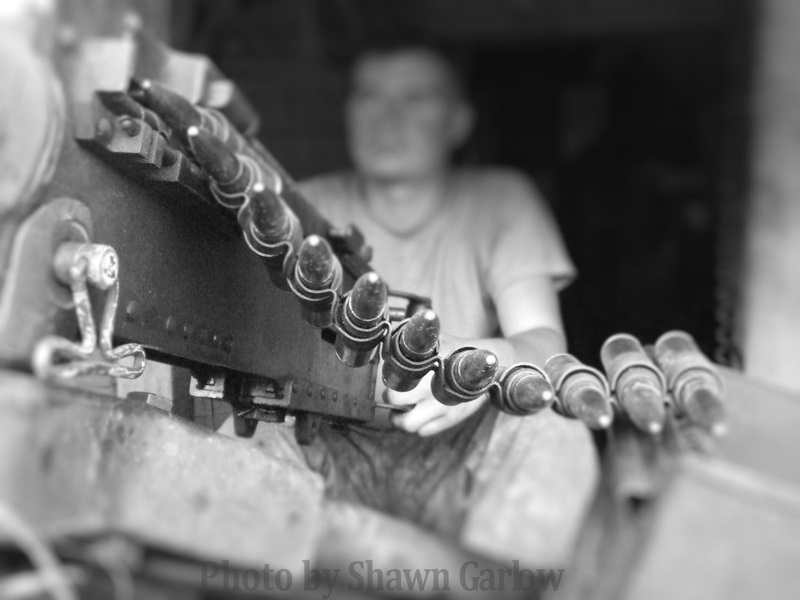 To correct shortcomings of the 82mm mortar Model 1941 it was modernized during initial production; the construction of the bipod, wheel and fastening of the sight was changed. 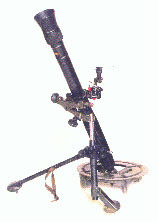 The modernized mortar was called the 82mm mortar Model 1943. 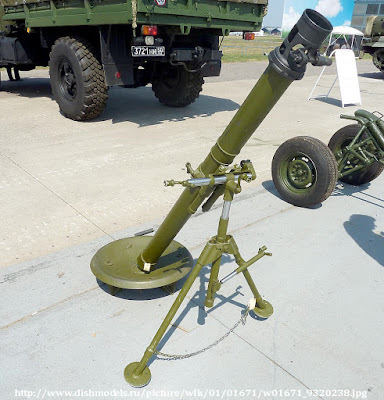 The 2B14 Podnos is a Soviet 82mm mortar. The 2B14 was designed in the early 1980s as a light indirect fire weapon for the use of airborne and other light infantry forces. Despite the intent to field the 2B14 with light infantry units, the 2B14 appears to have been fielded with regular motor rifle units as well at a scale of six per battalion. The M1943 Mortar also known as the SMADRARE is a Soviet 120 millimeter caliber smooth-bore mortar first introduced in 1943 as a modified version of the M1938 mortar. 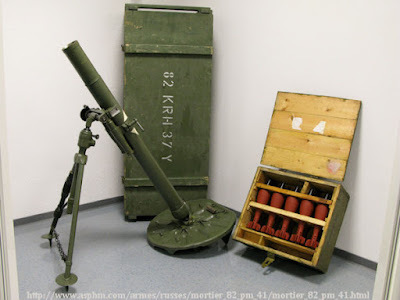 It virtually replaced the M1938 as the standard weapon for mortar batteries in all Soviet infantry battalions by the late 1980s, though the armies of the Warsaw Pact utilized both in their forces. 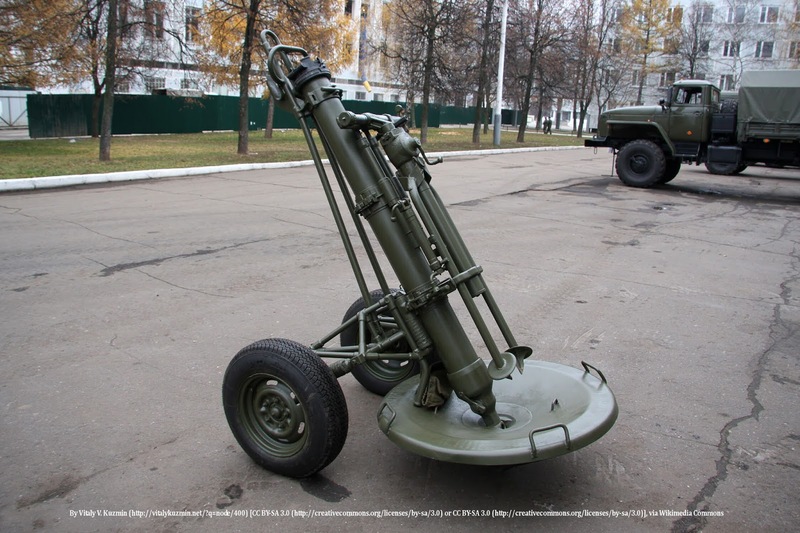 This muzzle-loading mortar can be easily broken down into three parts - barrel, bipod and baseplate - for movement over short distances or towed by a GAZ-66 truck on a two-wheel tubular carriage. The baseplate mounting permits all-azimuth firing, however as with most Soviet mortars it was difficult to turn rapidly over a wide traverse. It could accommodate small-angle shifts of up to 6 degrees without having to shift the baseplate though. The 2B11 Sani (Sleigh) is a 120 mm mortar developed by the Soviet Union in 1981 and subsequently fielded in the Soviet Army. The basic design for the 2B11 was taken from the classic Model 1943 120 mm mortar, and incorporated changes to make the mortar less heavy. The 2B11 has proliferated to other countries primarily as result of the collapse of the Soviet Union. .50 Cal. Browning M2 Machinegun at OP Rock, Firebase Vegas, Korengal Valley, Afghanistan. 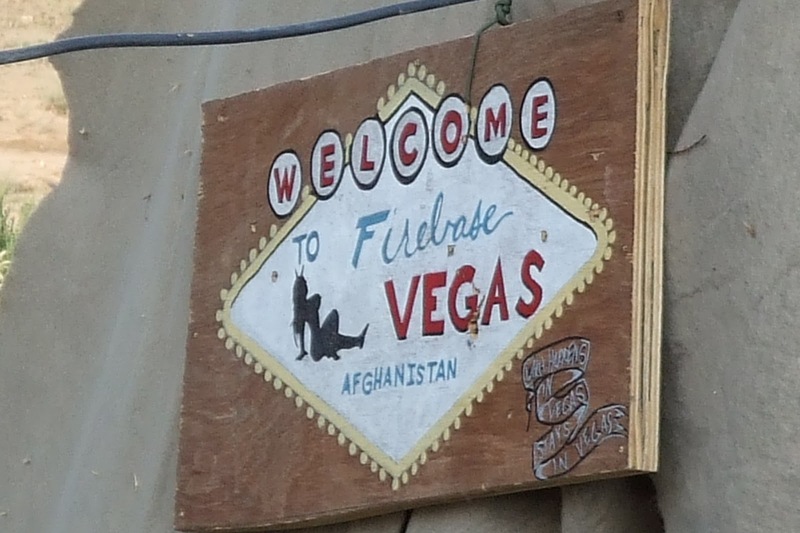 Downed CH-47F at Firebase Vegas January 17, 2009. 6 friendly wounded, 1 friendly KIA (Sgt. Ezra Dawson). 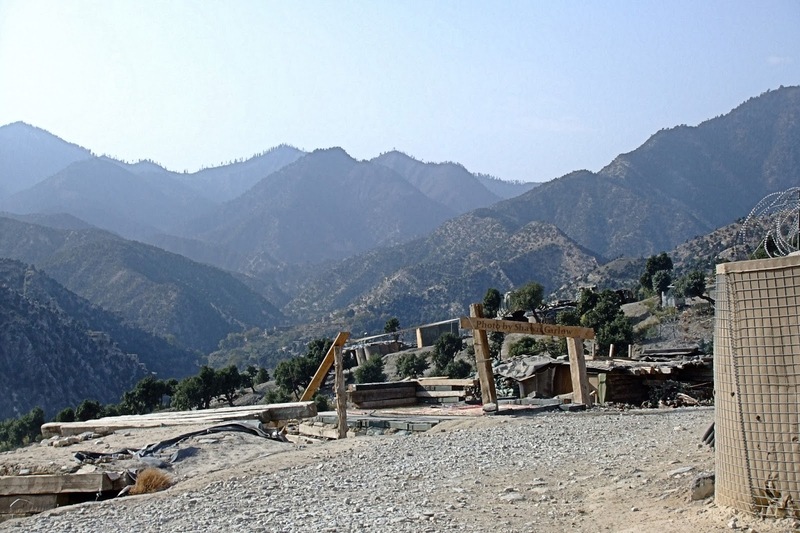 In Afghanistan it is common for each firebase and outpost (platoon level) to have at least one M224 mortar system (Especially in RC-East). The M224 60 mm Lightweight Mortar is a smooth bore, muzzle-loading, high-angle-of-fire weapon used for close-in support of ground troops. The mount consists of a bipod and a base plate, which is provided with screw type elevating and traversing mechanisms to elevate/traverse the mortar. The M64A1 sight unit is attached to the bipod mount. The mortar can be fired in the conventional mode or the handheld mode. This smooth-bore system can be gravity-fired or fired by using a manual spring-loaded firing system. High explosive (HE): Designations M888, M720, and M720A1. Used against personnel and light material targets. Smoke Cartridge (WP): Designation M722. 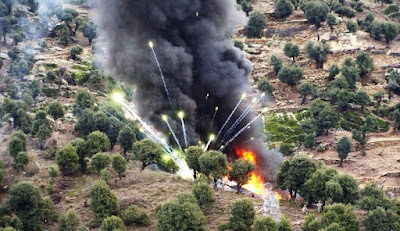 Used as a screening, signaling, or marking munition (White Phosphorus). Illumination (ILLUM): Used in night missions requiring illumination for assistance in observation. Training practice (TP): Designation M50A2/A3. Used for training in limited areas. These rounds are obsolete and not used anymore. Full Range Practice Cartridges (FRPC): Designation M769. This round is used for practice or clearing misfires. M1061 MAPAM: SAAB Technologies produced Multi-Purpose Anti-Personnel Anti-Material round. The M224 rounds have three fuze types: The Multioption Fuze (M734), the Point-Detonating Fuze (M525), and Timer fuze. The M734 is used for the M720 HE round and can be set to function as proximity burst, near-surface burst, impact burst, or delay burst. 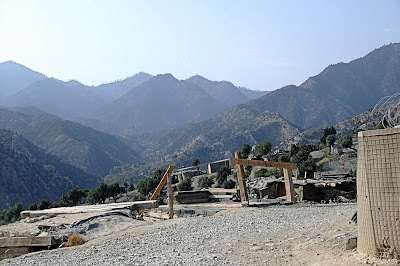 View to the south of the Korengal Valley from the gate of the Korengal Outpost. The M252 81 mm medium weight mortar is a British designed smooth bore, muzzle-loading, high-angle-of-fire weapon used for long-range indirect fire support to light infantry, air assault, and airborne units. The M252 system weighs 91 lb (41 kg) completely assembled and is composed of the M253 Cannon (35 lb, 16 kg), M177 Mount (27 lb, 12 kg), M3A1 Baseplate (29 lb, 13 kg), and the M64A1 Sight Unit (2.5 lb, 1.1 kg). The mount consists of a base plate and a bipod, which is provided with screw type elevating and traversing mechanisms to elevate/traverse the mortar. 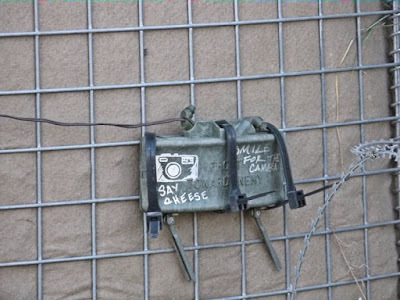 The M64A1 sight unit (also used on the M224) is attached to the bipod mount. The M252 is a gravity-fired smoothbore system. Attached to the muzzle of the weapon is the Blast Attenuation Device (BAD), used to reduce the blast effects on the mortar crew. To increase cooling efficiency, the breech end is finned; though first-hand accounts attest that the level of cooling is negligible. The cannon also has a crew-removable breech plug and firing pin. High explosive (HE): Designations M821, M821A1, M889, M889A1, M372-series, and M362. Used against personnel and light materiel targets. Smoke Cartridge: Designations M819 and M375-series(WP). Used as a screening, signaling, or marking munition. Illumination (ILLUM): Designations M853A1 and M301-series. Used in night missions requiring illumination for assistance in observation. Non-Lethal Indirect Fire Munition: Developmental round based on the M853A1 that disperses flash bang submunitions to temporarily daze people. Training practice (TP): Designations M880, M879, M68 and sabot. Used for training in limited areas. Infrared Illumination (IR): Produces illumination which is only visible through the use of night vision devices. The M224 rounds have two fuze types: the Multioption Fuze (M734) and the Point-Detonating Fuze (M935). The M734 is used for the M720 HE round and can be set to function as proximity burst, near-surface burst, impact burst, or delay burst. In Afghanistan it is common to have 120mm mortars at the company level providing indirect fire to the platoons. 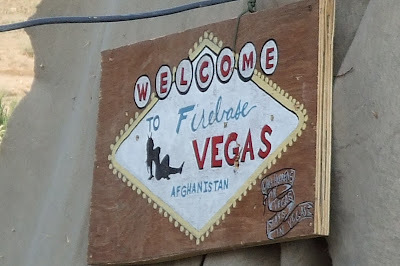 At Firebase Vegas we would frequently call in indirect from the 120mm mortars at the Korengal Outpost. The M120 fires fin-stabilized ammunition from a smoothbore barrel. Unlike its smaller ammunition cousins, the 81 mm and 60 mm mortars, the fin blades of the ammunition fired from the M120 are not canted. Thus, no spin is imparted to the projectile in flight. Although heavy mortars require trucks or tracked mortar carriers to move them, they are still much lighter than field artillery pieces. They outrange light and medium mortars, and their explosive power is much greater. Its mission is to provide heavy weapon, high-angle organic indirect fire support to the unit commander. The M120 is used by both mechanized units and light infantry in certain situations. Another feature of the M120 is the M303 Sub-Caliber insert, which allows the mortar to fire 81 mm ammunition. High explosive rounds fired by the M120 weigh about 31 lb (14 kg) and can have a lethality radius of 225 ft (69 m).